We are just two days away from the start of the 12th edition of the Indian Premier League. The tournament will kick-off with a South Indian derby as the defending champions Chennai Super Kings square off against the Royal Challengers Bangalore at the Chepauk on March 23rd. There are also a plethora of records up for grabs which are set to whet the appetite of all the cricket fans. Every day MS Dhoni steps onto a cricket field these days- whether it is for India or for the Chennai Super Kings, a plethora of records galore for the mercurial captain. 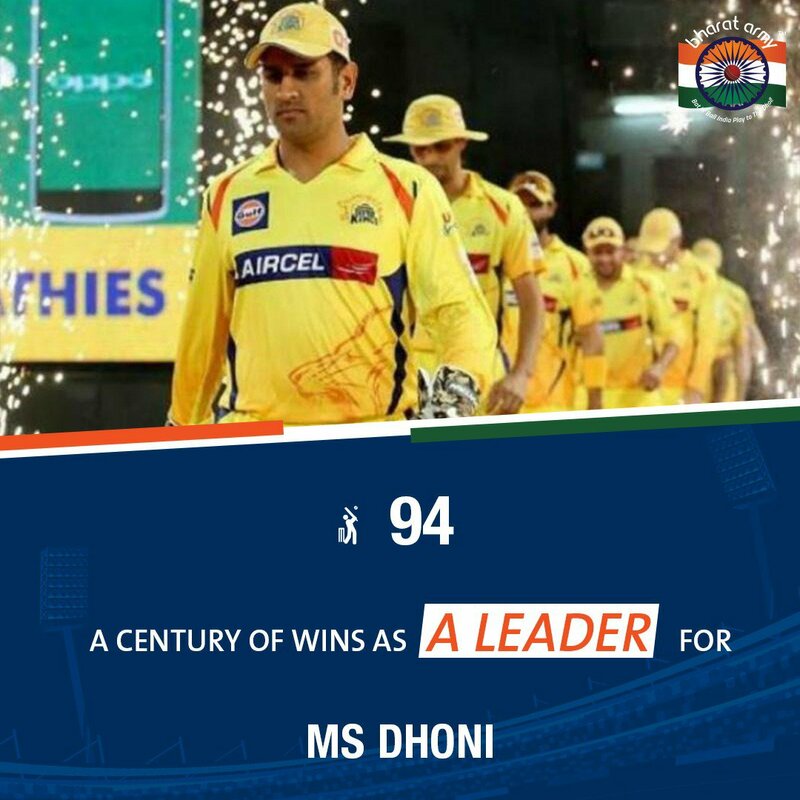 The only IPL skipper to take his side [CSK] to the finals for a record seven occasions, Dhoni is all set to become the first captain to notch up 100 IPL wins. As things stand currently, MSD has 94 wins in 159 matches for CSK [2008-2018] and Rising Pune Supergiants , and six more wins will see him do something that no other captain has ever managed to achieve. To understand the magnitude of Dhoni's achievement, we should take a look at what other captains have achieved. The closest to Dhoni in terms of IPL wins is Gautam Gambhir, who won 71 out of 129 games with a Win percentage of 55.03, while Rohit Sharma has 51 wins under his belt in 89 games as a leader. This IPL will also see batsman breach the 5000-run mark in tournaments' history. Not surprisingly, Suresh Raina is the first in the list with the most number of runs in IPL history. Raina has scored 4985 runs in 172 innings and is just 15 runs away from becoming the first batsman to score 5,000 IPL runs. Closing on his heels is Virat Kohli, who has scored 4948 runs in 155 innings. 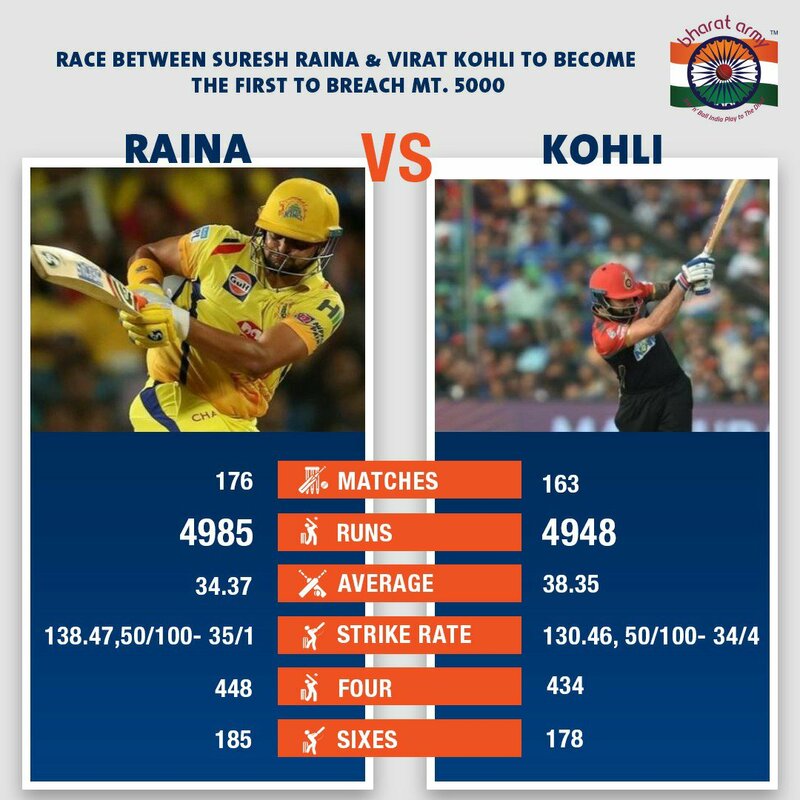 With the first game of the IPL set to be played between Chennai Super Kings and Royal Challengers Bangalore, the race between Kohli and Raina to become the first player to breach the 5,000-run barrier will serve as an ideal sub-plot to what already is a mouth-watering encounter. 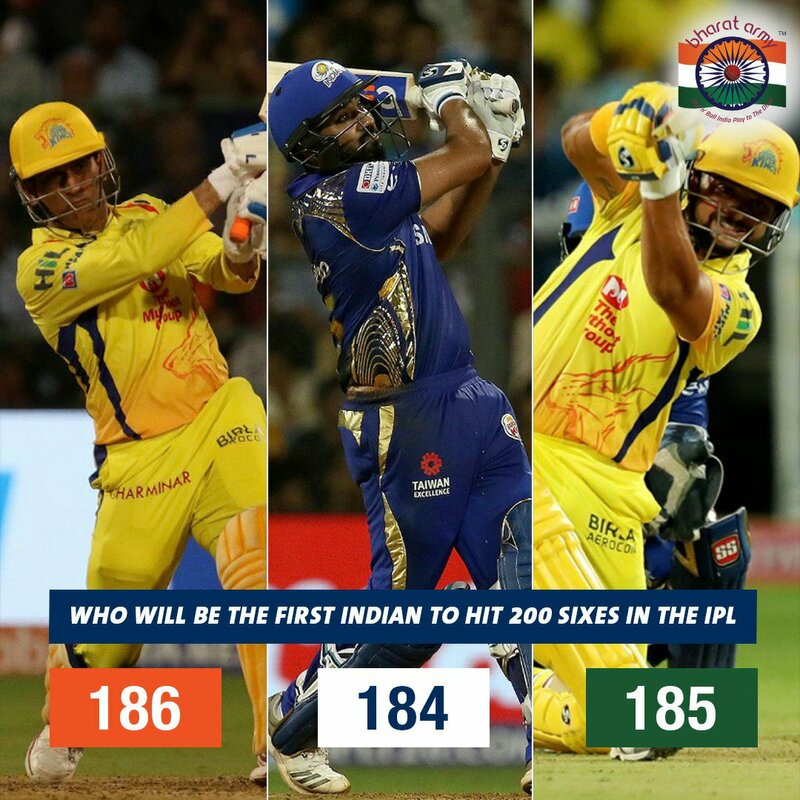 #1 Who will become the first Indian to score 200 sixes? If you look at the list for the most number of sixes hit by a batsman in the IPL, you'll realize what a colossal figure Chris Gayle has been during the past eleven seasons. Gayle has stroked 292 sixes in the IPL, while no other batsman has crossed 200. But, we should have a lot more names in that list this year, and three Indians are in contention of becoming the first Indian to stroke 200 sixes. MS Dhoni leads the list with 186 hits in 158 innings closely followed by Suresh Raina [185 in 172 innings] and Rohit Sharma, who has stroked 184 sixes in 168 innings. The Indian skipper, Virat Kohli is sixth on the list with 178 hits while AB de Villiers finds himself tied with MS Dhoni, with 186 sixes, and can become the second foreigner to stroke 200 sixes in IPL cricket.